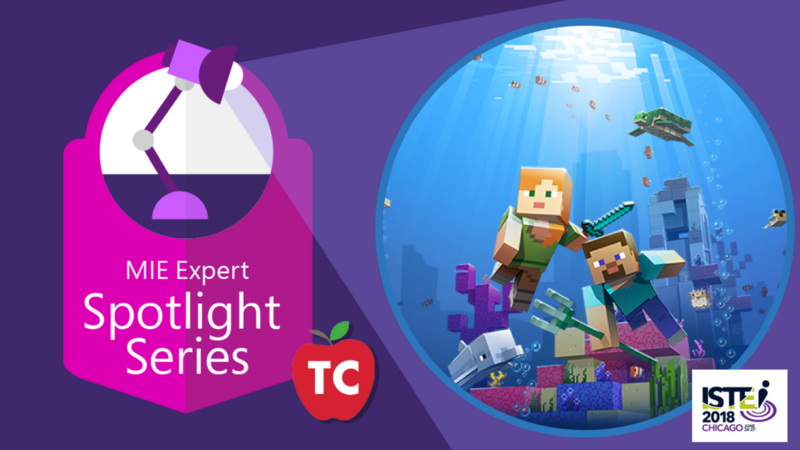 In this episode of the Microsoft Innovative Expert: Spotlight Series Podcast, Jeff sits down with Sara Cornish and Trish Cloud from the Minecraft Education team at the Microsoft Education booth. The big announcement at this years ISTE Conference revolved around the two new updates for Minecraft Education Edition. Constructing underwater ships and coral reefs. How do you “code” a coral reef? What is Minecraft and how can we use it in the classroom? What can I find on the Minecraft Education website? Learn more about these great resources here. Join us for another #MSFTEduChat TweetMeet on August 21st at 10 a.m. PDT. This will be a live Twitter chat focused on assisting educators and IT on school and classroom setup in preparation for the new school year. Stay tuned for more info!